After leaving Belgium I found myself a little lonely again in Amsterdam. 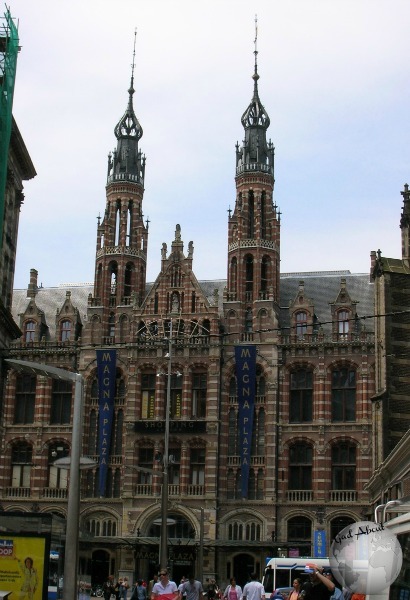 The Dutch people were great and I was amazed by the culture. However, Amsterdam is one of those places that some people go to just to drink and get high so many of the tourists are the loud, belligerent type and the hostels are pretty disgusting. There was a huge football game for the World Cup my first day in town and Holland won, which was awesome. There was this crazy hyper energy in the streets. But since it was my first day I hadn’t met anyone yet and the pubs were so crowded that I couldn’t even get inside so I didn’t have anyone to celebrate with. The pubs had been like that often, so I hadn’t watched a single game during my travels. I thought it was funny how people would stand outside the bars and watch the games through the window. The cultural anthropologist in me always had fun watching the crowds. Since I was there for a few days and the people in my hostel were loud and disrespectful, I did consider staying somewhere else. However, I found all the hostels I looked at were in a similar state. Travel Tip: when in Amsterdam, pay the extra money for a cheap hotel room. It’s definitely worth it. It’s the only city I’ve ever visited that I would never stay in a hostel again myself. 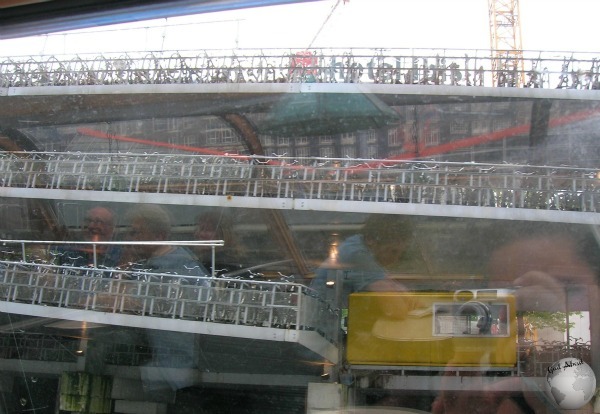 There were several sights that I was very excited to see when in Amsterdam. I spent my first day just walking around, looking at monuments and visiting the Red Light District. Later I did a Canal Cruise, which was a lot of fun, as they have tons of canals throughout the city, which I didn’t realize. Because the homes are so close together and have narrow halls, they use these hooks on the outside of their homes to bring big items to the upper flights through the windows. I also visited the Van Gogh Museum which opened in 1973 and draws more than 1 million visitors every year. It was amazing to see more of Van Gogh’s work and learn about his life. His career only lasted 10 years, but he produced 1100 drawings and 900 paintings in that time. The museum collection contains not only his drawings and paintings but also some sketchbooks and letters. 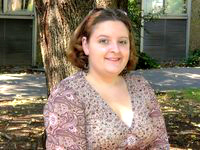 His letters include information about his sources of inspiration, thoughts and methods. The museum also encompasses works from Van Gogh’s private art collection, such as Japanese prints and works by his artist friends. I greatly enjoy Van Gogh’s work so it was a delight to see this museum. I even bought two prints: Starry Night and Blossoming Almond Tree. You can’t go to the Amsterdam and not visit the Anne Frank house. 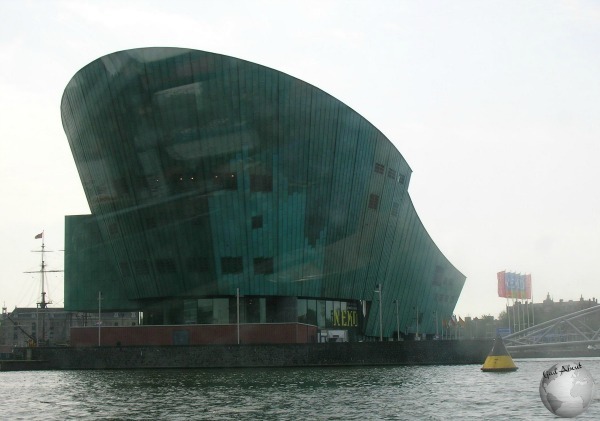 Out of all the sites that Amsterdam has to offer, this is the most famous and one of the hardest to visit. I would suggest you get tickets early and try to visit in the morning when it first opens. The line gets quite long and even once it starts moving, it takes a while to get through as the space in the house is quite tight. 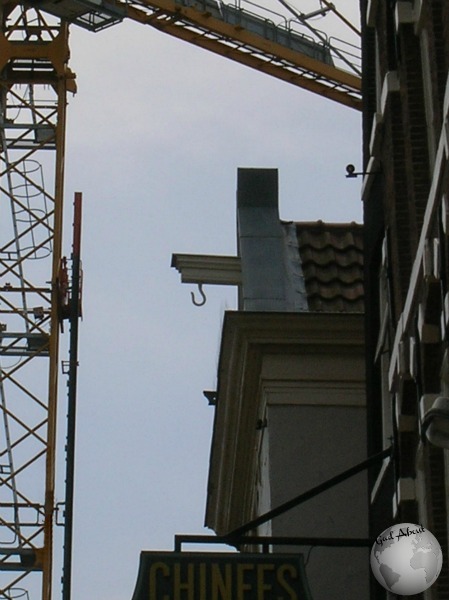 The Anne Frank House opened as a small museum in 1960. At the time the front part of the building was rebuilt to welcome visitors while the back part of the house, the annex where Anne lived, was kept in its authentic state. In the 1990’s a new building was constructed next door, so that the front part of the house could be returned to the way it was during the time Anne’s family was there. Walking through the Anne Frank House, you are transported back in time. The rooms are no longer furnished, but personal objects are on display along with excerpts from Anne’s diary which provide a glimpse of what life was like during the hiding period. Not only do you experience the lives of the 8 people who lived in the Secret Annex, but also of the employees of Otto Frank who helped protect those in hiding. “We can never be just Dutch, or just English, or whatever, we will always be Jews as well. But then, we’ll want to be,” wrote Anne on April 9, 1944. Today people are still being persecuted and murdered because they, just like Anne, are not only ‘different’ but also ‘want to be’. This makes a visit to the Anne Frank House meaningful, also in our times. Personally, I believe that visiting sites such as this are incredibly difficult and absolutely necessary. I think that we should all be reminded of the atrocities of our world’s past because I think that acknowledging and remembering such acts hopefully will influence our own attitudes and behavior in modern times. In addition to visiting the Anne Frank House, I’ve also visited several Concentration Camps, which I will write about in future posts. For me, one of the most amazing and challenging things about visiting these sites are the emotional responses and short-lived relationships that people build throughout the visit. I always tell people to make sure they have plenty of tissues when they visit the Anne Frank House, because anyone with a heart will need them. Even with having read the diary, I was still surprised at how strong my own reaction was. Walking through a house, knowing that you are standing in the same place that these 8 people stood, ate, lived and breathed is an enlightening experience. Seeing the personal objects and displays makes it seem like pieces of the inhabitants are still there. Reading portions of the diary as you journey through reminds you of moments that occurred in that exact location. The house and museum were actually bigger than I expected. As I walked through the rooms, there was a woman in front of me crying as she looked at some of the items. We started talking about and she told me that this was particularly difficult for her, as her grandmother had been in one of the Concentration Camps. She told me how she felt both incredibly blessed and emotionally tortured to have the opportunity to visit the Anne Frank House. For her it represented a horrible memory of the past and strong advisory for the future. After finishing my tour of the Anne Frank House I was emotionally devastated as I walked around the corner to visit another important site. I thought the most sentimental part of my trip would be visiting the Anne Frank house, but I was wrong. For me, the most profound moment was standing at the Homomonument. If you’ve read my bio, you know that I’m from Idaho. And if you know anything about Idaho, you know it’s one of the most conservative states in the U.S. What isn’t in my bio is that I’m the daughter of gay dads. I spent years hiding my family dynamic from friends, teachers, and co-workers. And yet here I was in a country that not only recognizes, but makes a grand political statement of acceptance and tolerance by creating a monument to the gay community. One of the most incredible things about the Homomonument is that it’s not something that was recently constructed in reaction to the gay rights movement of the past decade. It was unveiled in 1987. 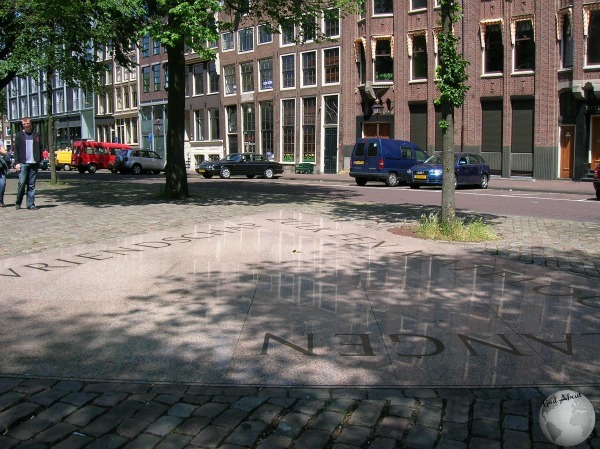 In Amsterdam there was a call to create a memorial for the gay men and women that were persecuted during WWII immediately following the war, but it took almost 40 years for thorough research into their persecution to be completed. Many people don’t know that homosexuals were oppressed under the Hitler regime. They were arrested and deported to the concentration camps and gay men were forced to wear the symbol of the pink triangle. They had to wear this symbol both on their jackets and on their pants. The triangles were 2 to 3 cm larger that those worn by other prisoner groups so that people could identity them as a homosexual man from a distance. Lesbian women wore either a red or black triangle which identified them as political prisoners or as social deviants. The Homomonument makes the statement, “Never again,” to show that history shouldn’t be repeated. However, it doesn’t only commemorate the victims of WWII, but also represents all homosexuals that have been or still are being persecuted today. The beauty of the Homo Monument isn’t only the symbol of the pink granite triangle, but also the message it presents by representing the past, present and future. The triangle presenting the past was placed between the paving stones and points in the direction of the Anne Frank house. This is simple reminder of what can happen when people let hate, judgment, and intolerance rule their lives. 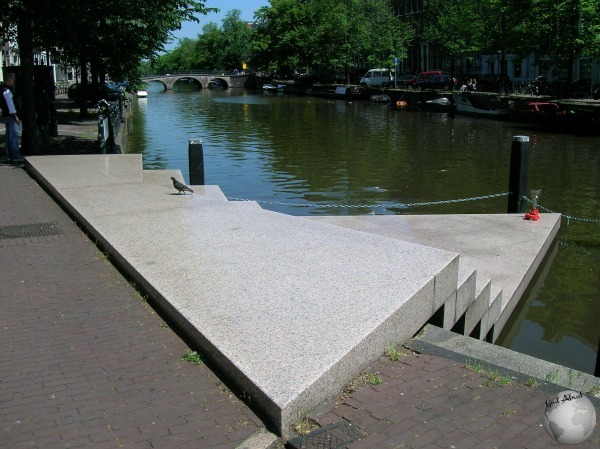 The triangle for the present has a set of steps that leads from the street and protrudes into the canal. 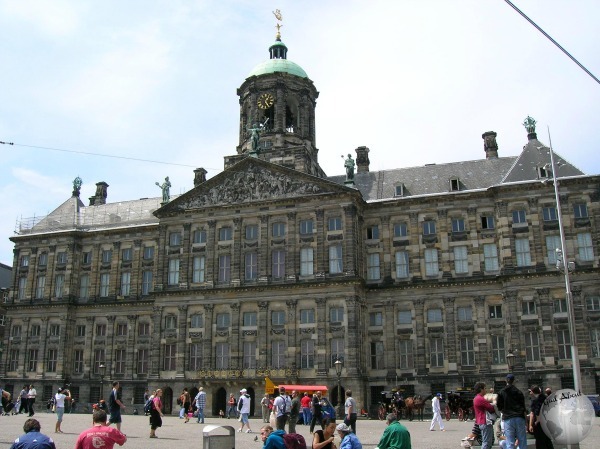 The point of the triangle faces the National War Memorial in the center of Amsterdam. The triangle for the future, which is raised 60 cm above the ground and double as a podium, points to the COC which is the world’s oldest continuously operating gay and lesbian organization. For me, these two triangles remind us where we are today and how far we still have to go. I spent an entire afternoon at the monument, eating lunch and people watching. I will never forget how totally and completely safe and accepted I felt. I knew that this was a place where I would never need to hide who my family was or fear the judgment of others. I’d never felt that way in all the places I’d lived or visited. I will always remember that and I will be eternally grateful to have had the opportunity to experience it. I know no country or people are perfect, but I’ve believed since that moment that Amsterdam has it right and that we could all learn a lot about humanity and decency from the Dutch. Lovely post. I still think your first one was more emotional. Thanks for reading. Seems my first one is going to be hard to top! I agree with you all the way when you say that visiting such sites is incredibly difficult yet necessary. I have recently been to the Anne Frank Huis myself and it was emotionally challenging! Great post! Thanks! I don’t think most people really understand how emotionally difficult these places can be until they’ve visited somewhere similar themselves. I come from a conservative state as well, Oklahoma. More often than not, an intolerant person is going to find something they don’t accept in every individual they come across. With this mindset being at all present, we’re doomed to continue this cycle of finger pointing. To find an accepting place is such a relief to the soul. Thank you for sharing this. Yes, it is a relief to find an accepting place. Fortunately, I’m finding more of them in the U.S. as our country continues to grow.